This appears to be troubling. 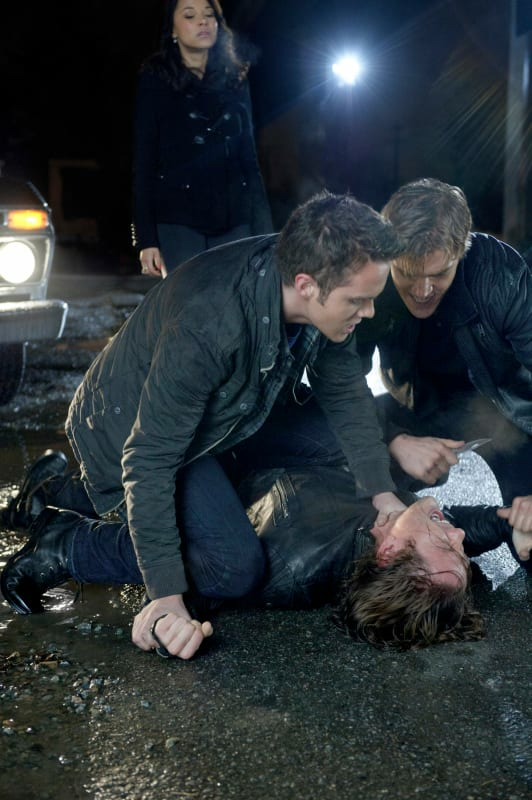 With Melissa looking on, Adam and Jake tend to the fallen on the episode "The Crystal." The Secret Circle Season 1 Episode 19: "Crystal"
A journal. Tied with an actual ribbon. If you leave something like this lying around you're just begging for it to be read. I can't believe I just rifled my mom's underwear drawer. No one that old should have that many thongs.